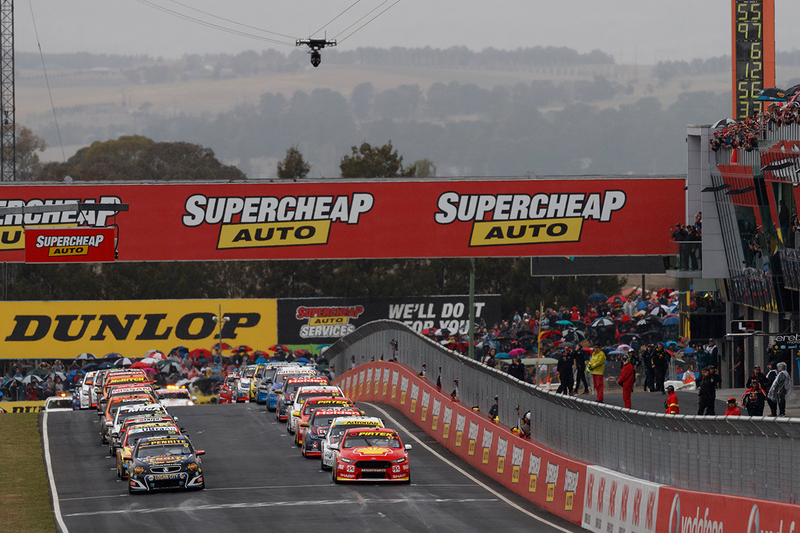 Network Ten’s broadcast of the Supercheap Auto Bathurst 1000 has been nominated for the Most Outstanding Sports Coverage Logie for a second-straight year. Produced by Supercars Media, the 2017 Great Race had an average national audience of 1.9 million and a peak of 3 million on Ten. The podium and wrap of the race followed as the second- and third-highest rating programs that day. They were also the top three programs for the day on FOX SPORTS and 6.8 million people viewed videos of the race on Supercars.com platforms. The coverage featured an Australian-first use of the innovative CAMCAT, an overhead camera that travelled at speeds of up to 150km/h along the front straight. Erebus Motorsport conquered Mount Panorama with a popular victory for David Reynolds and Luke Youlden. On a largely-wet day, the race also included engine problems for title protagonists Jamie Whincup and Scott McLaughlin. The 2016 broadcast was also nominated for a TV Week Logie Award last year, with this year’s ceremony to be held on the Gold Coast on July 1. Supercars Media General Manager of Television and Content Nathan Prendergast said receiving another nomination was recognition of the world-class production team that covers every angle of the world-renowned event. “This is testament to the great team we have which produces the amazing live pictures, coverage and content across TEN, FOX SPORTS and via our worldwide broadcast partners,” he said. “The depth and breadth of our coverage with insights and analysis from the expert team brings the race to the audiences like never before. Other nominees in the Most Outstanding Sports Coverage category include the 2017/18 Ashes Series, last year’s AFL Grand Final and Australian Open Men’s Final and the Jeff Horn vs Manny Pacquiao bout.